Whilst we may still be in winter, to me the snowdrop heralds the first coming of spring, and I find such joy in seeing these dainty white drooping flowers emerge. They are a great addition to a garden, bringing life to what can sometimes be a quiet few weeks, especially useful for filling gaps under deciduous shrubs, or if you’re lucky enough to have the space, carpeting a woodland. An often over looked addition to a planting plan, but one to remember to add on, or make notes to revisit a scheme and plant these valuable bulbs later in the year. Galanthus, gal-an-thus; from the Greek gala, meaning milk and anthos, meaning flower – the Snowdrop. When I was at university, studying for my garden design degree, we had weekly plant idents, which were great. There were 15 different plants laid out for us, and we got to look at them up close in the classroom, before being taken out around the gardens at Hadlow College, looking at the plants growing in the gardens, learning from Annie, Caroline or Brian about their different characteristics. And then we had all week to research further, lean the names, the latin, how to identify them, how to pronounce them, and most importantly for our test, how to spell them! And then one week it was Snowdrops. All Snowdrops. 15 different Snowdrops. 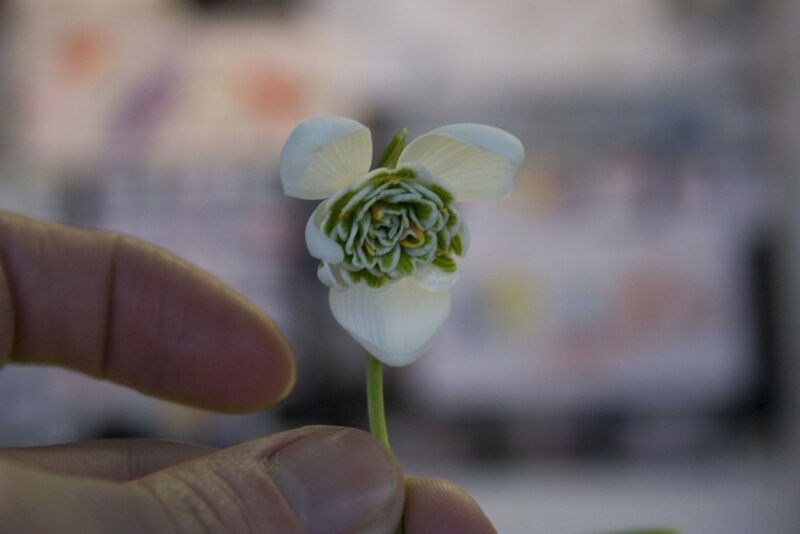 Now I love a Snowdrop, but this really opened my eyes to the vast numbers of cultivars out there. 15 is just the tip of the snowy iceburg. There are 1000s. And some people, Galanthophiles as they can be known, race all over the country to see and collect rare Snowdrop bulbs. With exceptionally rare varieties fetching £100s of pounds. In 2015, a keen galanthophile shelled out £1390 for a single bulb of Galanthus plicatus ‘Golden Fleece’. 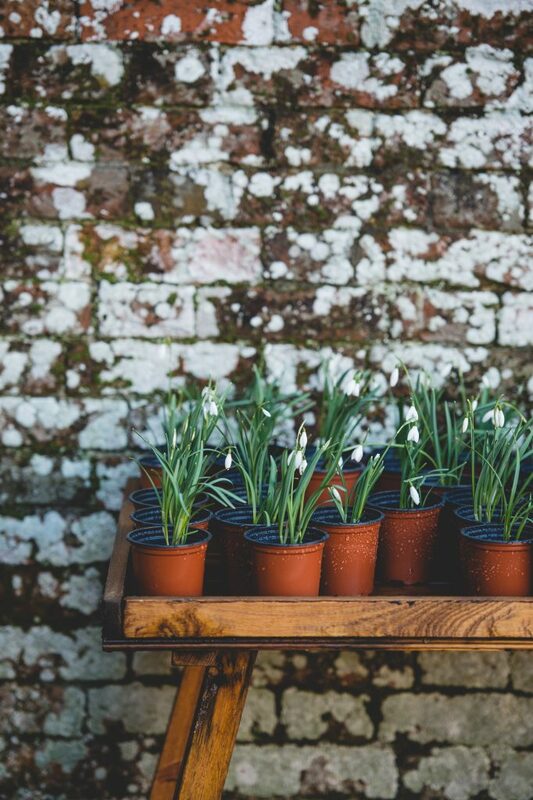 But most snowdrops are available at much more sensible prices, and you won’t need to increase security to protect these precious bulbs, they’ll look after themselves in your garden and give you a fabulous display year after year. Below I’ve listed out a couple of personal favourites for the garden, awarded the RHS Award of Garden Merit, so you can trust these to be reliable performers. And if this has peaked your interest, there’s a whole host of places to go visit in Sussex that are packed full of snowdrops at the moment. I’ve listed some of these further down the post. All galanthus are herbaceous perennial monocot plants growing from a bulb. They generally have two, sometimes three, strap-shaped or oblanceolate leaves. The white, pendulous flowers are composed of six perianth segments (tepals) in two whorls. The outer whorl is formed by white, petal-like tepals wrapping around the inner tepals, which are smaller with a notch in the tip and green markings. Often thought of as the British native, an introduction in the 16th Century, but now naturalised throughout our woodlands and gardens. This is the one you’ll probably see the most of when out and about. The leaves are narrow grey-green, the edges touching at the base but not overlapping. The outer tepals are about 2.5cm long and the inner tepals have a small, neat, inverted V on the tip. Why stay single when you can double up? This is a familiar garden favourite, the double from of the common snowdrop. 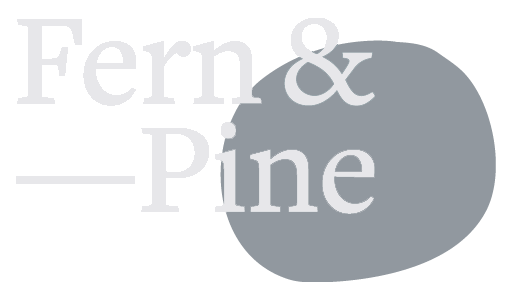 A robust, long-lived form that will spread well in most situations. They are one of the first bulbs to flower in February. The proliferation of inner, green-tipped petals gives the plant its double appearance, although the number varies greatly and is rarely neat; some may be distorted or long. 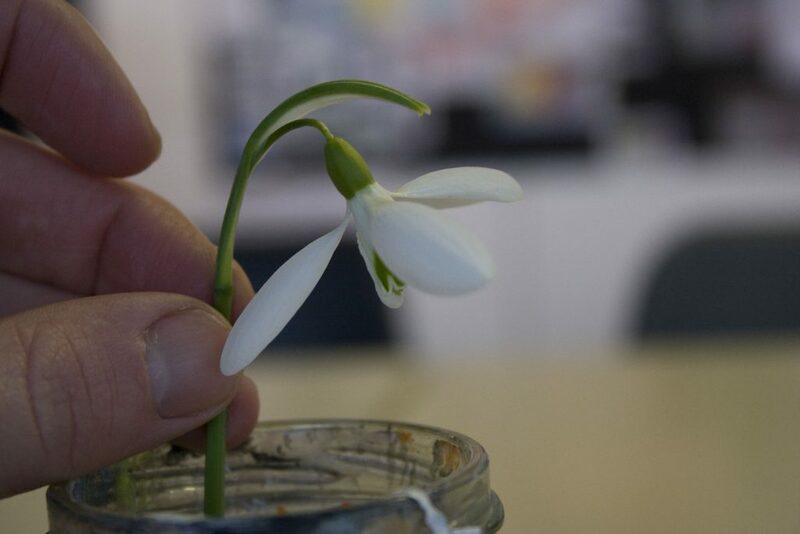 If you’re looking for a handsome snowdrop that will stand head and shoulders above the rest, S. Arnott is your man. Tall, thickly petalled and elegantly proportioned. Standing at about 20cm tall and often honey-scented on mild days, a much admired cultivar. The large, 3cm long, elliptical outer tepals make an attractively rounded flower which flare wide in sunshine. The inner tepals feature a bold, arch-like green mark at the tip. Tall and slender. I remember this one by thinking of it as having been on the atkins diet (thanks Adele, I’ll never forget that gem)! One of the finest and best garden-worthy snowdrops, that is vigorous and will spread easily and quickly. Featuring long, slender outer petals, with the inner petals marked with a distinctive, green, inverted heart. A species native to the Crimea. The story goes that soldiers in the 1850’s war brought it back to Britain where it crossed with our Snowdrop. The tall vigorous early flowering crosses established in many large estates. 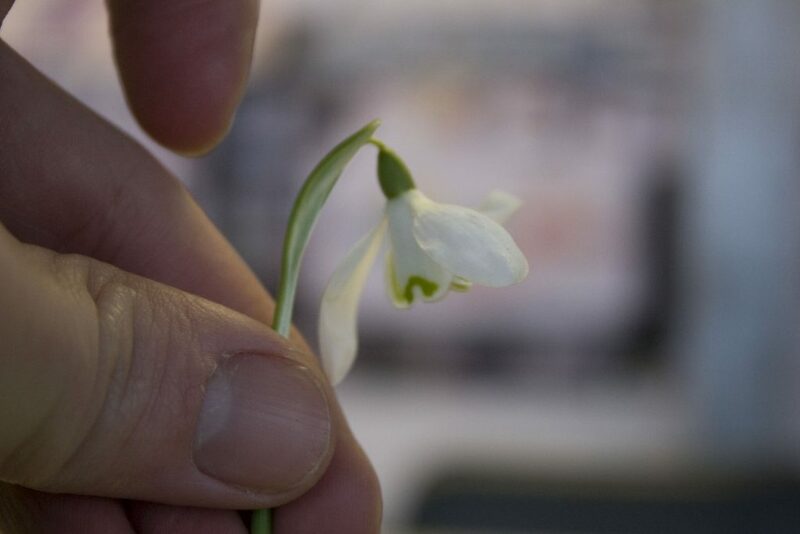 Flowering earlier than Galanthus nivalis, they make a larger plant with heart shaped green markings on the inner petals, and wider foliage turned back (or plicate) at the edges. 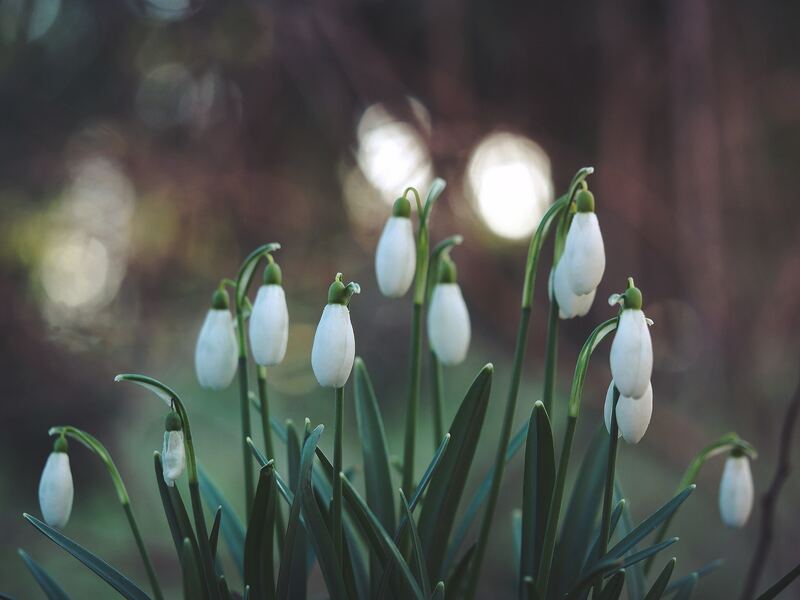 Snowdrops offer the first tantalising taste of spring and few sights are more stirring than seeing these pure white flowers dotted all around the garden. They elegantly occupy Nymans lawns from January to March, followed by the lesser-known snowflake. Their gardens have just reopened for the season with snowdrops erupting across the lawns. Head to the Pleasure Gardens to see swathes of snowdrops making a carpet across the gardens. Usually famed for its autumn show, but also a great shout for snowdrop spotting. If you’re looking to travel further afield, you could head to “England’s greatest snowdrop garden”, Colesbourne Park, Nr. Cheltenham, Gloucestershire. 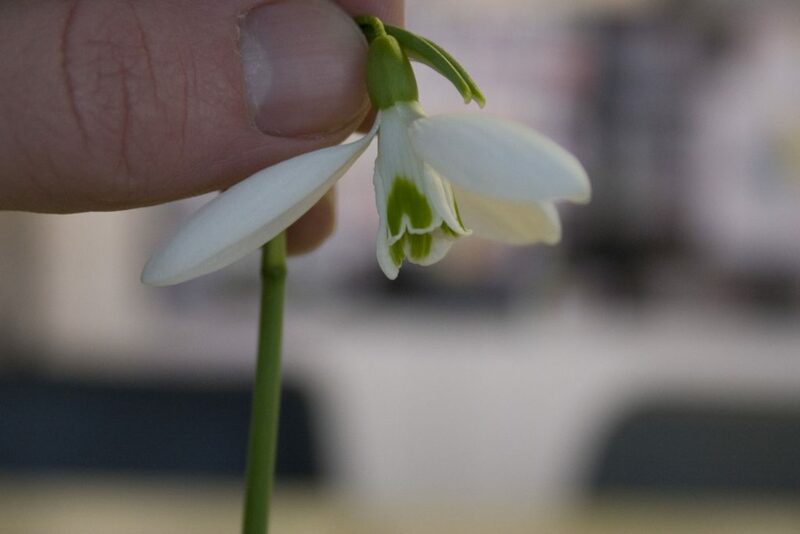 In 1874 Henry Elwes had discovered Galanthus elwesiis whilst travelling in western Turkey and he became one of the prominent galanthophiles of his day. He planted widely at Colesbourne Park and this tradition is carried on today by current head gardeners John Grimshaw and Will Fletcher. 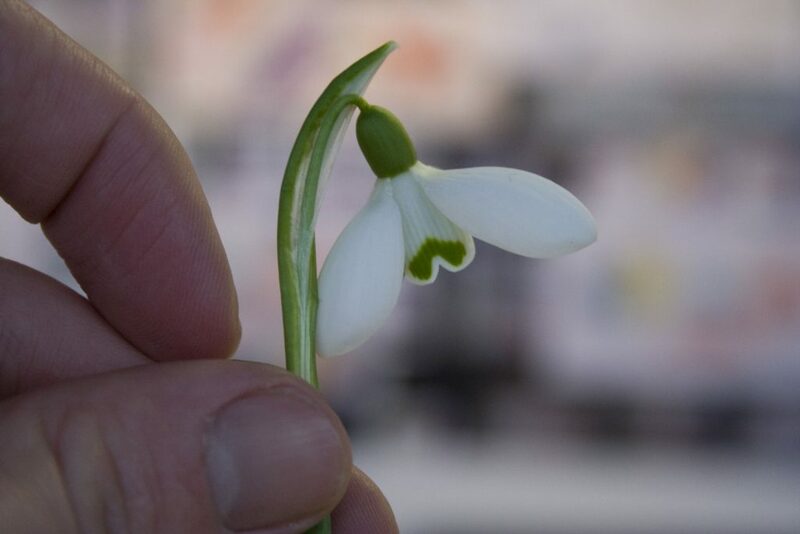 The snowdrop collection is extensive, and you’ll recognise the Elwes name in many Galanthus cultivars sold today. 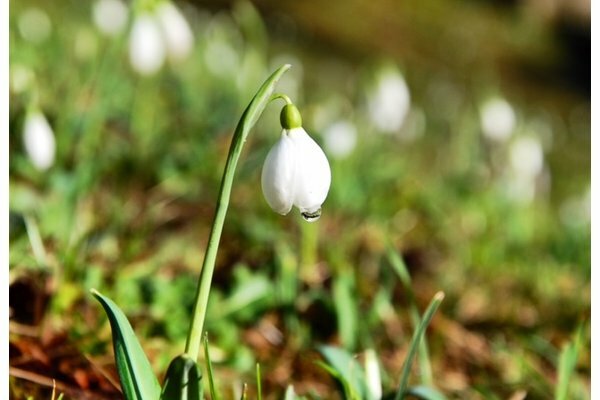 Snowdrop season is upon us, so get out and about and make the most of it! Click here to read about advice for January jobs in the garden.